Developed in 1938, the 90mm A.A. was the standard U.S. heavy anti-aircraft (HAA) gun throughout World war 2 and Korea. The carriage was designed with a remote power control, allowing the predictor or radar to control the traverse and elevation of the gun, allowing the gunners to concentrate on setting fuses and loading the ammunition. A self-propelled version was used as an anti-tank gun. 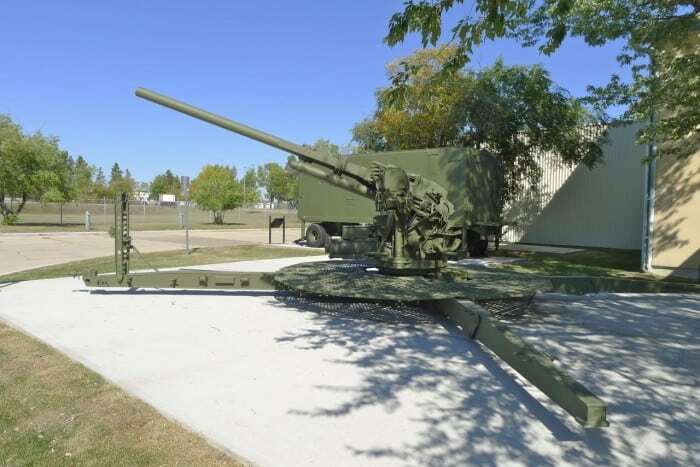 Immediately following World War 2, the gun was adopted by the Canadian Army for the HAA units defending Canada against Soviet bombers. The guns were retired in 1960 as surface to air missiles had become the primary anti-aircraft weapon.